The danger to American democracy stems from Republican efforts to suppress the vote. As he continues to slip in the polls, Donald Trump is claiming the election is “rigged” against him: Dead people are casting ballots from the grave. Illegal immigrants are pouring over the border to vote for Hillary Clinton. Democrats are voting 10 times each in “certain areas,” like inner-city Philadelphia. He even suggested, in the final presidential debate, that he might not accept the results of the election if Clinton wins. This is nonsense. Voter fraud is a very small problem in American elections, and voter impersonation, which Republican-backed voter-ID laws purport to address, is exceedingly rare. There have been only 31 allegations of voter impersonation since 2000, out of 1 billion votes cast—meaning more people are struck by lightning than impersonate another voter at the polls. Yet Trump’s inflammatory rhetoric has already had damaging consequences. According to one poll, 73 percent of Republicans believe the election could be stolen from him. The Trump campaign is recruiting “Trump Election Observers” to “Stop Crooked Hillary From Rigging This Election!” And some of his supporters are explicitly calling for racial profiling at the polls against “Mexicans. Syrians. People who can’t speak American,” as Steve Webb, a 61-year-old carpenter from Fairfield, Ohio, told The Boston Globe. Some prominent Republicans, like John McCain, have denounced Trump’s statements and his refusal to accept the election outcome if he doesn’t win. But when it comes to voter fraud, Trump is simply pouring gasoline on a fire his own party created. The GOP’s fraud crusade dates back to the 2000 election in Florida, when Republicans disenfranchised Democratic-leaning voters—by illegally purging thousands from the voting rolls, for example—and then brazenly labeled Democrats as rampant cheaters. 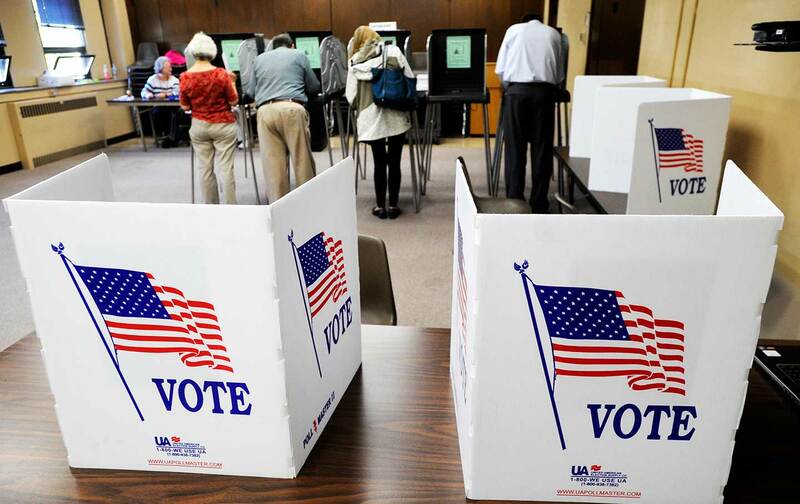 Manufacturing a controversy over voter fraud became an effective way to build support for new efforts to limit access to the ballot, like strict voter-ID laws, cuts to early voting, and shutting down voter-registration drives. The real danger to American democracy stems from Republican efforts to make it harder to vote. If there’s any rigging happening in the election, it’s this: 14 states have new voting restrictions in effect for the first time in 2016, which will be the first presidential election in 50 years without the full protections of the Voting Rights Act. The truth is that voter suppression is a much bigger problem than voter fraud. In Wisconsin, Republicans haven’t presented a single case of voter impersonation in court, yet the state’s strict voter-ID law could disenfranchise 300,000 registered voters this year. “A preoccupation with mostly phantom election fraud leads to real incidents of disenfranchisement, which undermine rather than enhance confidence in elections,” wrote Federal District Court Judge James Peterson. As The Nation’s Ari Berman reported, one registered voter in Wisconsin, a naturalized US citizen since the age of 8, was told to spend $345 on her naturalization papers to get a photo ID to vote. The watchdog group Democracy North Carolina documented more than 2,300 cases of voters whose ballots were rejected in 2014 after the state eliminated same-day registration and out-of-precinct voting. That was 1,150 times greater than the two cases of voter impersonation committed in North Carolina from 2002 to 2012, out of 35 million votes cast. Let’s be very clear: It’s incredibly unlikely there will be widespread voter fraud on Election Day. But there will be eligible voters who are turned away from the polls. That’s the true threat to election integrity we should be focusing on. It’s not enough for Republicans to denounce Trump’s rigged-election comments. They must renounce their own party’s voter-suppression efforts if they want to stop Trumpism from spreading further after the election.